Mark Anderson is an experienced Marketing & Communications executive. He has a Bachelor of Communications & Media Studies from the Catholic University of America and a Master of Science in International Management from Teesside University. 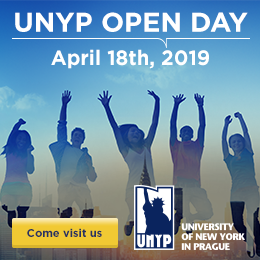 In 2002, he relocated to the Czech Republic where he started his own business and subsequently moved into Marketing & Communications roles for GE Money, Ufon/MobilKom and Pedersen & Partners and is now the Director of Marketing for the University of New York in Prague. He is a marketing executive with a record of success in strategic marketing and communications, delivering consistent results in expanding revenue and profitability. His focus is organic digital and content marketing focused on targeting and engaging with a lead-rich audience for international brands with strong experience throughout CEE (Czech Republic, Slovakia, Hungary, Romania), Baltics, CIS, Asia, Africa and Latin America.